Wrangell St. Elias National Park. The Chugach, Wrangell, and St. Elias mountain ranges converge here in what is often referred to as the "Mountain Kingdom of North America." The largest unit of the National Park System and a day's drive east of Anchorage, this spectacular park includes the continent's largest assemblage of glaciers and the greatest collection of peaks above 16,000 feet. Mount St. Elias, at 18,008 feet, is the second highest peak in the United States. 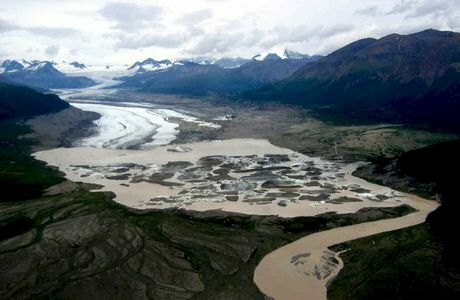 Adjacent to Canada's Kluane National Park, the site is characterized by remote mountains, sweeping valleys, wild rivers, and a variety of wildlife. Proclaimed as Wrangell St. Elias National Monument December 1978 and established as a National Park and Wilderness preserve December 2, 1980.